While New Hampshire’s crime rate is one of the lowest in the country, the state’s prison population is also one of the nation’s fastest-growing. In 2019, New Hampshire’s criminal justice system faces challenges both unprecedented and perennial: last year, a new women’s prison opened in Concord, the result of twenty five years of gender discrimination lawsuits, but the Department of Corrections continues to struggle to hire enough staff to run the facility, reflecting a shortage of correctional professionals that affects both county jails and the state prisons. Prisons and jails are on the front lines of the state’s opioid crisis: a majority of the incarcerated population in New Hampshire are dealing with a substance use disorder. The science of addiction treatment has advanced outside of prison, but inside prison, access to those tools is inconsistent and difficult to implement. This page will continue to be updated as episodes are published. Part 1 | Going Inside: An introduction to New Hampshire's justice system. Part 2 | One Month Out: How do prisons and jails in New Hampshire treat opioid addiction? Part 3 | An Idle Mind: Was the toy box I bought for my child made ethically? It was made and purchased through the NH-DOC Correctional Industries. Part 4 | Floorwalkers: What is the ratio of prison guards to prison inmates at the Men's State Prison in Concord? How did we go about answering our listeners’ questions? Who did we reach out to and interview? How do you make a podcast, from coming up with ideas to publishing episodes? In this guide, we answer those questions in detail. We think it’s important for listeners to know how we approach our work. If you have more questions for us, email us at wordofmouth@nhpr.org or fill out the submission form below. Explore the Department of Corrections publicly available policies, annual reports, and studies. This 2010 DOC report includes a timeline of New Hampshire's prisons (compiled by the department). NHPR's past reporting on criminal justice in the state, including "A Question of Justice in N.H.'s Biggest Jail", a series on bail, race, and access to mental health and addiction treatment. A documentary tracing the history of criminal justice and race in America, from slavery to the War on Drugs and mass incarceration. A podcast made about life in prison, shared and produced by the people who live it. Produced by Nigel Poor and Earlonne Woods, formerly incarcerated at San Quentin. An extraordinarly investigation into a year of ordinary cases in a Cleveland courthouse. The stories of young lives changed by interactions with law and order. 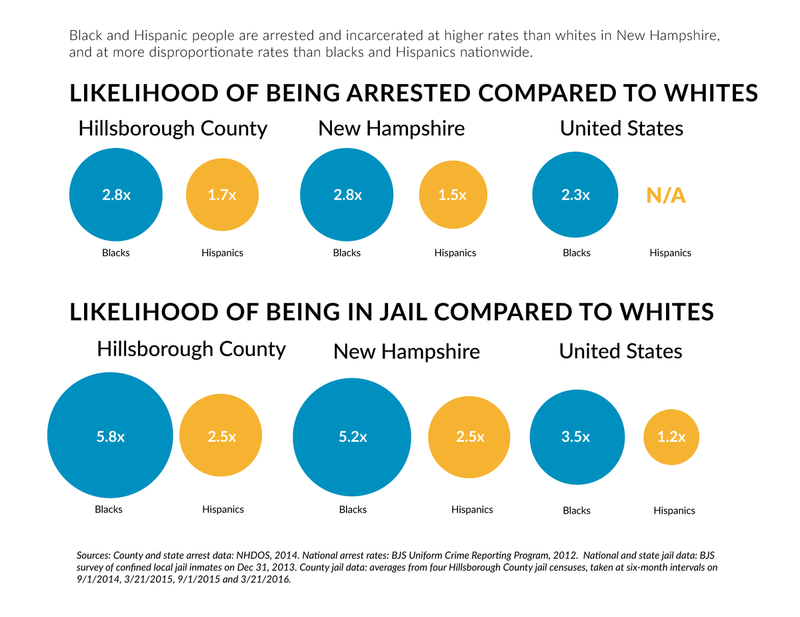 Vermont's population is 95.3 percent white, but people of color are disproportionately represented in the state's criminal justice system. Why? Reply All's two-part series "The Crime Machine"
The hidden technology (and ideology) behind policing in New York City. Snap Judgment attempts to report on every murder in the city of Oakland in 2017, and tells the stories of the people lost to violence. Albert Woodfox spent over four decades in solitary confinement -- longer than any prisoner in American history.